Are you looking for a quick and easy way to effectively whiten your teeth from the comfort of your own home? Perhaps you should consider trying out a charcoal toothpaste. I’ve already discussed the great teeth whitening benefits that activated charcoal at length before, which you can check out by clicking here. However, most of the recommendations that I made in that article involve picking up charcoal powder in bulk and making your own paste. I realized that some people are looking for a more convenient option. So to that end, I decided to provide this quick guide on the best charcoal toothpaste options that are available to you. Why Choose a Charcoal Toothpaste? The main reason why anyone would choose a charcoal toothpaste is without a doubt how amazingly convenient it is to whiten your teeth. You’re already in the habit of brushing your teeth twice per day. All you have to do is swap out your regular toothpaste for one of the great charcoal toothpastes below and you’ll be well on your way to noticeably whiter teeth. In fact, activated charcoal is such a potent substance when it comes to removing unwanted toxins from the body that it is also used as an effective remedy for poisoning. https://www.ncbi.nlm.nih.gov/pubmed/3285126 If charcoal can manage to help absorb and then flush out serious toxins from your body to the extent that some experts have claimed it might be the single most effective treatment option https://www.ncbi.nlm.nih.gov/pmc/articles/PMC1306980/, then ridding your mouth of unwanted bacteria is no problem at all! So with that said, let’s take a look at my top five picks for the very best charcoal toothpastes available. All of these options can be purchased directly from Amazon.com and then delivered right to your doorstep in a matter of days. 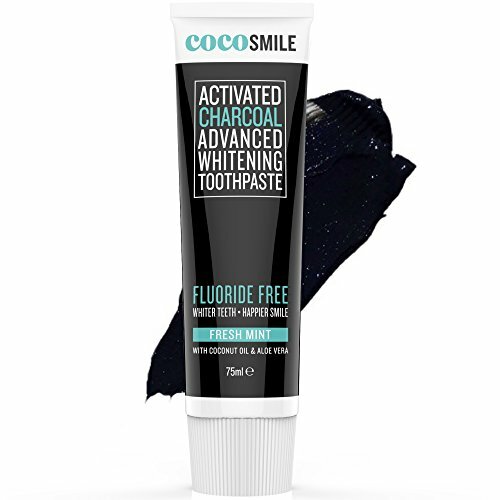 The first charcoal toothpaste that we’ll be taking a look at is produced in the United States by Cocosmile. It’s completely fluoride-free and made with 100% all natural ingredients. Cocosmile’s product has a delightful minty flavor that helps to freshen your breath while simultaneously whitening your teeth. As with all teeth whitening toothpaste products, just remember that it’s a more gradual process than professional dental whitening services. Be sure to allow up to two weeks to see best results when using this toothpaste. It’s made with 100% all natural ingredients — organic coconut shell charcoal, aloe vera, coconut oil, and peppermint. This toothpaste is gluten-free, peroxide-free, and contains no triclosan — it’s safe for the whole family to use! It features a triple-action vegan formula designed to kill bacteria, stop bad breath, and whiten your teeth. Ideal choice for anyone with sensitive teeth as well. For a product designed and marketed as being eco-friendly, the use of a plastic tube was rather disappointing. The second charcoal toothpaste that I would recommend is produced by Gold Mountain Beauty. It’s another fantastic blend of terrific ingredients that is an effective choice to help whiten your teeth over time in an all natural fashion. Just like the other charcoal toothpastes found on this list, it works best on surface stains, such as those caused by tobacco smoke, coffee and tea, or red wine. I like this particular toothpaste because Gold Mountain Beauty is a company with extensive experience in making activated charcoal products, and that experience definitely shows with this quality product. Provides gentle teeth whitening with an all natural formula, with ingredients such as activated charcoal, diatomaceous earth, deionized water, coconut oil, and a variety of essential oils. Free of any potentially harmful chemicals making it an ideal choice for both children or anyone who has sensitive teeth. Free of SLS and fluoride while also containing xylitol, which helps prevent cavities by inhibiting the growth of bacteria. Produced by a company with a lot of experience in the field of charcoal teeth whitening. This toothpaste does tend to have a rather bland taste, especially compared with the option above. Has a much more liquid texture than some other charcoal toothpastes, increasing the likelihood of messiness when using it. Next up we come to this toothpaste made by Dental Expert. As you would expect from a company touting themselves as experts, this toothpaste is rather high quality, and they back up their claims with a complete money back guarantee. Efficient all-in-one toothpaste that polishes your teeth, strengthens enamel, and freshens your breath. It has a pleasant orange flavor making it a nice change from all of the mint flavored toothpaste options out there. Contains bamboo charcoal and other all natural ingredients that have been used for their beneficial properties for centuries. Backed by the Dental Expert guarantee of providing relief for oral inflammation, bleeding gums, and other common dental ailments while also whitening your teeth or you will receive a complete refund. This product contains no SLS, sulfate, fluoride, or other chemical additives. This toothpaste is a fair bit more expensive than other charcoal whitening options — be sure to check what size you are ordering as they have quite a few options available as well. This ‘Bright Up’ charcoal toothpaste made by Holisouse is another great product that markets itself to be eco-friendly by using all natural ingredients. It uses a potent double whitening system to brighten your teeth while also protecting your enamel thanks to its gentle formula. It’s also effective for helping prevent tooth decay and relieving the pain experienced by sensitive teeth when brushing. The double whitening formula is a completely safe alternative to whitening your teeth efficiently compared to whitening treatments that use bleach or other harsh chemicals. Has a noticeably better mint taste compared with some of the other more bland options on this list. This toothpaste is especially effective when it comes to removing the tougher surface stains caused by smoking. 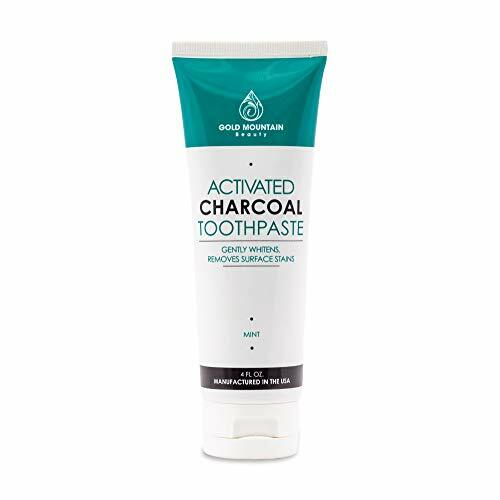 Features ultra-micro activated bamboo charcoal and other great natural ingredients that are effective at whitening and preventing tooth decay. Safe to use for anyone who experiences sensitivity in their teeth or gums. This toothpaste contains parabens, which have been linked to some adverse health effects in some individuals. 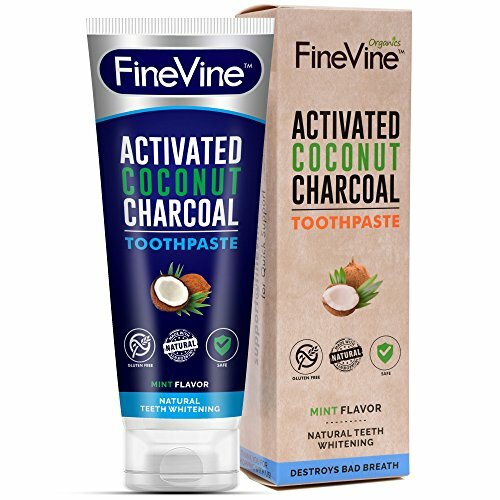 Moving along we come to this coconut charcoal toothpaste made by FineVine. This is another fantastic all-in-one formula for a whitening toothpaste, as it works to kill bacteria, freshen your breath, and whiten your teeth with twice daily use. FineVine also stand by their whitening products, and offer an unconditional satisfaction guaranteed policy. This toothpaste has an incredibly pleasant minty flavor that freshens your breath and keeps it that way all day long. Very effective at removing a wide variety of stains, including tougher kinds of surface stains, such as those caused by tobacco smoke. It not only polishes your teeth, but it also remineralizes them from the comfort of your own home. It helps to fortify your enamel, improve gum health and can even help to heal bleeding gums. Uses four key ingredients that all have proven health benefits — coconut charcoal, coconut oil, peppermint oil, and baking soda. This product is also another more liquid-based toothpaste, and can be rather messy — however it should be noted that it does clean up easily. 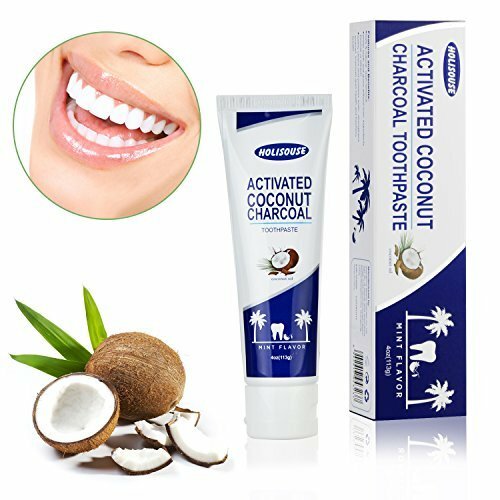 Out of the five activated charcoal toothpastes covered above, the unanimous top choice if you are only interested in the very best would have to be the FineVine Activated Coconut Charcoal Toothpaste option. I found it to be incredibly effective, as it made my teeth noticeably whiter, even with my daily two-to-three cups of coffee habit. Out of all of the charcoal toothpastes that I sampled, I find it also offered the best flavor as well, which I know is important for many of you. Have you tried out any of these charcoal toothpastes for yourself? What did you think? Did you get the results you were looking for? How about any charcoal toothpaste recommendations that I missed? Let us know down in the comments below and please feel free to share this article with your friends and family!